This RJ45 Crimp Tool makes it easier to trim patch cords into any lengths you need. This handy all-in-one tool allows you to terminate a RJ45 plug with a stranded four-pair, un shielded, twisted-pair cable. 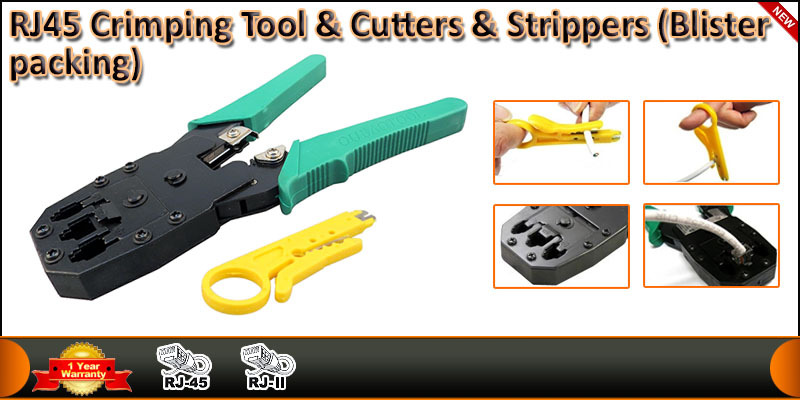 Now you can crimp, cut, and strip with one convenient tool.